Financial technology, or fintech, startups are making some pretty lofty promises with impressive business pitches from digital remittance services for emerging economies to new tech-fuelled alternatives to traditional banks. You needn’t look too far to find hyperbolic statement about how fintech startups are going to render banks obsolete. We’ve already looked at how fintech can flourish in regions like South and Central America but the budding industry still has many hurdles to cross even as it begins to blossom. Southeast Asia is another region that is exhibiting potential but the case of Indonesia highlights how there is still much work ahead. The landscape is mixed. Indonesia, with its population of around 250 million and internet penetration recently growing to 29%, presents opportunity while the Communication and Information Ministry has spoken regularly on the burgeoning use of mobile devices that fuels this internet use. The country is largely unbanked too. Roughly 36% of people over 15 have a bank account so there’s a considerable void to be filled by financial services. As a result there is a wealth of young tech startups operating in the financial and money space but also foreign companies coming in too. Stockbit, a stock analysis platform based in Jakarta, raised its seed round just last September. Payments service Doku has partnered with Aliexpress and competitor Veritrans has signed up with major Indonesian banks and financial institutions like CIMB Niaga and Mandiri. Russian mobile point of sale (mPOS) terminal maker ibox on the other hand recently moved into Indonesia as part of its wider Southeast Asia strategy. It will launch two new products and services for the country, iboxKasa, an accounting tool, and iboxStart, a service for receiving card payments even if the business’ monthly turnover is less than $1,000. As part of its market research, ibox points out that Southeast Asia is seeing a growth in card usage but the uptake of mPOS systems, like the ones it makes and distributes, isn’t available at the same rate. This puts small and medium sized businesses at a disadvantage when trying to expand their business online and on mobile. ibox claims that there are only about 95m debit cards and 15m credit cards active in Indonesia. Local players have tried to address this as well, serving a pretty vast array of services from financial comparison sites to accounting and money management services. Cekaja provides a comparison feature for financial services, which it says can help Indonesians navigate the minefield of options out there. Similarly, Jakarta’s Cermati provides comparison services on car loans and savings accounts etc. It closed its seed round in July of this year. Jojonomic, based in Jakarta, is a mobile app that helps its users manage their finances and keep tabs on money coming in and going out. The startup was founded by the former CEO of Groupon Indonesia. Jurnal and Akunting Mudah are both cloud-based accounting services and offer services in a similar field. On the ground, young companies are recognising an opportunity in fintech but is the business climate in Indonesia welcoming to such “disruption”? Earlier this year local startups, banks, investors, and other interested parties launched their own initiatives to stimulate growth in the space. Startups like Cekaja and Doku and banks like Mandiri are among the founding partners of FinTech Indonesia, a working group similar to other organisations that have been launched in burgeoning fintech hubs around the world. Similar efforts have been made in Singapore with the FinTech Group and Advisory Panel set up by the Monetary Authority of Singapore. One of FinTech Indonesia’s concerted aims is to assist in government programs and it is aiming to open a dialog with agencies like the Financial Services Authority (FSA) of Indonesia in the hopes of influencing policy and research to help fintech startups. Some of the other stated aims of FinTech Indonesia, according to J P Ellis, CEO of Cekaja, are co-ordinating educational efforts and networking between Indonesia’s various fintech startups. “We want to encourage that fintech in Indonesia is growing faster,” adds Dr. Muliaman Hadad, head of the FSA. 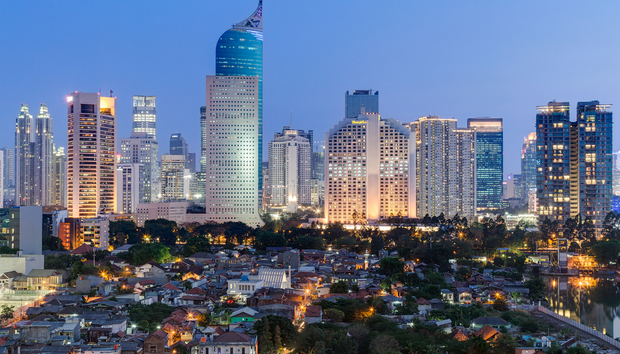 Dealing with regulations will be a barrier for many fintech startups in Indonesia. Already e-cash services are popular in the country but often that means face-to-face sign ups with the banks, which can be cumbersome. Fintech of course encourages a faster, online means of verification to start using a service. Indonesia presents tremendous opportunities for fintech and its growth across the rest of Southeast Asia, and could serve as a strong case study for other regions, but overcoming these early challenges will be key to its long-term future.